The Newport 462-XYZ-SD-LH ULTRAlign Precision Integrated Crossed-Roller Bearing Linear Stage is made of Stainless Steel for thermal stability and features crossed-roller bearing on all 3 axes for precise movement and high-load carrying capability. 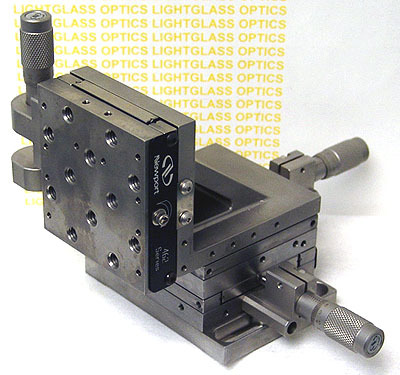 This is a left-hand version of the 462-XYZ and instead of a top-mounted micrometer actuator, it has the optional Newport Side-Drive mount. The Newport SM-25 micrometer actuators are included in the price.